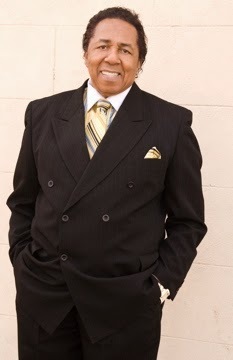 (Los Angeles, CA): Four-time Grammy winning producer/singer/songwriter Bunny Sigler releases a fresh new single that will excite past and present fans. Teaming up with a young Haitian producer, "Do The Calypso Dance" is a breath of fresh air that is the perfect summer-time anthem. The prolific songwriter who produced the "Philly Sound", excites his audience with this highly anticipated new single continuously showcasing his range of songs. YOUNG, GIFTED & BLACK: You’ve had a remarkable and successful career in entertainment as a Songwriter/Singer, working beside some of the greats, Curtis Mayfield, etc. Where are you originally from and How long have you been in love with this thing called music? Philadelphia, PA. Since before I could talk – for 71 years now. YOUNG, GIFTED, BLACK: Your Bio says you have won 4 grammy’s, can you tell us what they were for? Classical opera “Othello”, Nelly’s “Dilemma”, Patti LaBelle’s “Somebody Loves You Baby”, and OutKast’s “Speakerboxxx/The Love Below”. YOUNG, GIFTED & BLACK: Your popular new single, “Do the Calypso Dance” is of the Carribbean. What Genre of music do you consider yourself? And can you tell us more about the single and its production? Everything. I sing in all languages – folk, gospel, jazz, country, opera. All music is my music. I worked with this young producer from Haiti, where the Calypso beat came from – something that I related to. YOUNG, GIFTED & BLACK: Longevity is always key in the music business. How many albums would you say you have recorded in your career span? How many? I couldn’t even tell you. Too many to count after five decades of recording, being on multiple record labels and now having my own label, I’ve recorded three new albums – The Lord’s Prayer in gospel, From Bunny With Love & A Little Soul – a collection of love/R&B/funk songs, and a Christmas album – When You’re In Love At Christmastime. YOUNG, GIFTED & BLACK Whom are some of the artists of today that you listen to? I listen to everybody, anyone who’s hot. YOUNG, GIFTED & BLACK: I see you have collaborated with popular artists such as Outkast & Jay Z? How did this transpire? Both considered the genre of Hip Hop. Several years back a number of hip-hop artists discovered my earlier catalog and artists such as Outkast, Jay-Z and many others sampled my earlier music. I’m convinced that some earlier tunes which were large hits in the R&B field were a perfect blend for rap and hip-hop. YOUNG, GIFTED & BLACK: What are some of your opinions about music today? How does it differ from say like, Motown days were it was all about the presentation. Were artists were more political with their lyrics and consciously aware? There’s a lot of great music. Whoever’s hot – that’s who I love. I’m not guided by everyone – I dress how I want to dress and write what I want to write – always marching to the beat of my own drum. YOUNG, GIFTED & BLACK: Do you use Social Media? Which do you engage in the most? Yes. You can find me most active on Facebook, Twitter, Youtube, and Reverbnation. YOUNG, GIFTED & BLACK: My last and own personal question, Mr. Sigler…have you ever collaborated, performed or known Donnie Hathaway?